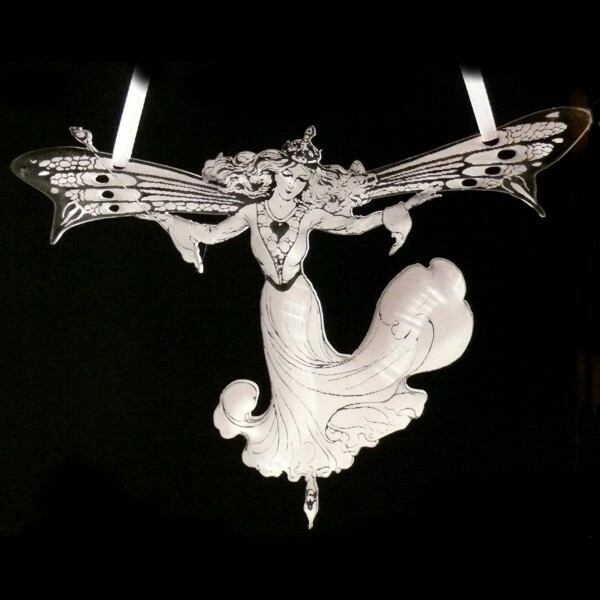 A hanging ornament featuring a fairy queen, based on Willy Pogany's engraving of Queen Mab (thanks to Liam at www.fromoldbooks.org). Engraved on clear acrylic. 14cm wing tip to wing tip.